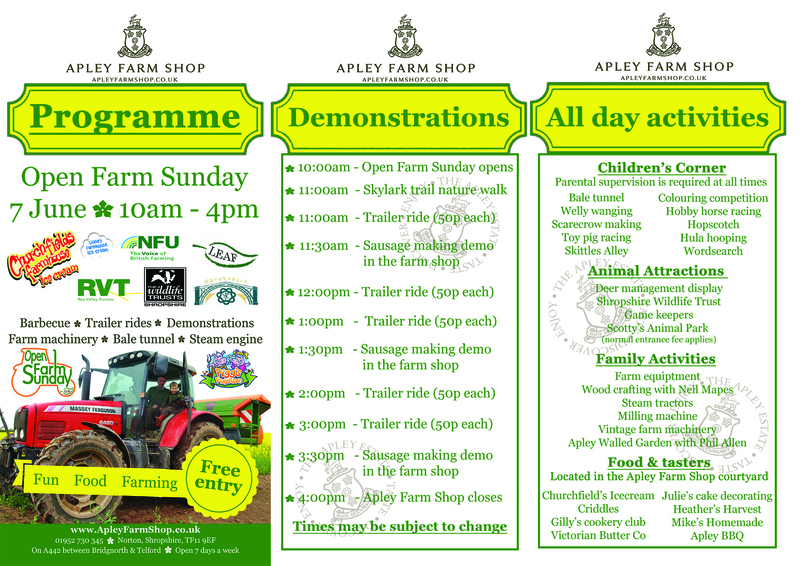 Yesterday, Apley’s farming team were busy making preparations for Open Farm Sunday at Apley Farm Shop, tomorrow, Sunday 7 June. 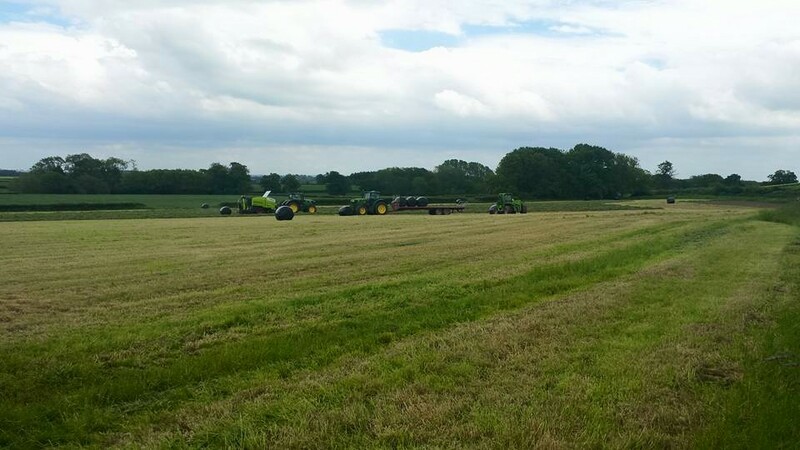 Here they’re silage making on the field in front of Apley Farm Shop with the distinctively coloured green & yellow John Deere tractors. Tomorrow is a FREE event all about fun, food & farming. Come & learn more about your local farm & meet your local food producers. The field will be full of farm machinery displays (vintage & modern), working dogs, trailer rides, icecreams, donkey rides, butchery demonstrations, cake decorating, seed planting, children’s games & activities, scarecrow making, bale tunnel, hobby horse racing, barbecue & local beer, woodcraft, butter demonstrations, free tasters, a nature trail guided walk (buy a picnic in the farm shop if you wish & take it with you). I’m sure it’ll be yet another great day out at Apley Farm Shop !